From Pretty In Pink to Goth, a trend inspired by the rise of Vintage- depicted by the Oh My Love dress worn, creepers and velvet leggings. 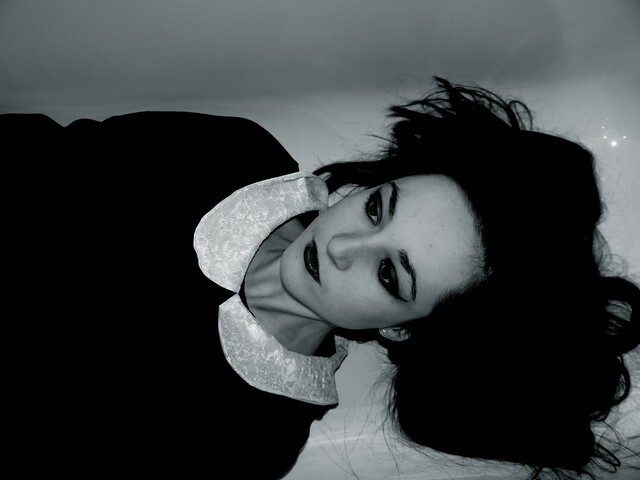 The little angst shoot was inspired by the likes of Gavin Watson's Punk Images to Sofia Ajram's galactic images. 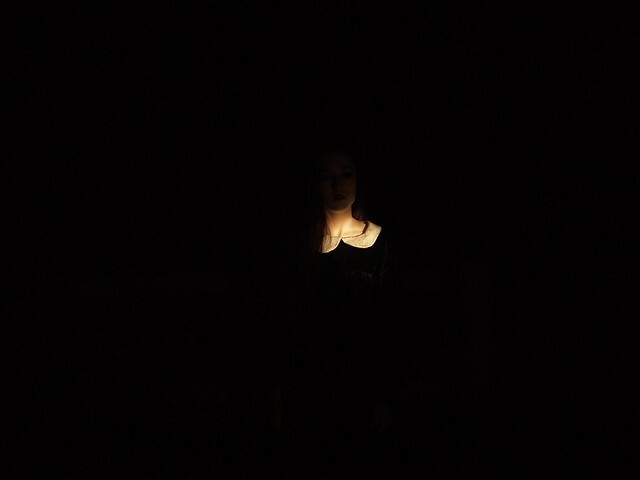 The shoot being very amateurish- done at night by a 14 year old girl whom does not know all the functions of her new camera, ended up being somewhat discombobulated from one another. I was trying to depict that dazed, confused, lost yet playful girl. The photos were taken in the holiday Home's large and lush garden (late night photos would not be permitted in the parks of London- I have quite a small garden). Anyhow I am back to London, back at school and back to work. The next two weeks consist of exams and revision. Oh what joy. 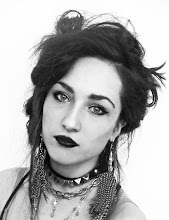 I got asked to do a video on the DIY COLLAR/ NECKLACE, sadly with exams coming up I won't be able to do it right now. Though thank you for mentioning, it's given me inspiration to start a 'vlogging'. As for the store I was literally about to launch it today, but then yet again it wouldn't except details,etc. If I was an adult it would have been up since December, I'm very sorry. So to make up for it the next post will consist of a give-away! The last photo is incredible.. These pictures are beautiful, so inspiring! I'm really excited for the giveaway. :) I love your blog! omg :D so great photos ! Just 'discovered' your blog and have to say that I am loving it. Your style oscillates between gothic and girly for want of better words and never veers to far into one camp without the other brightening/ darkening the outfit. Amazing photos!! thanks for the comment!! you look like a doll come to life. i love it for all it's eeriness. I love this blog. Your make up looks a-may-zzzzing, as does your hair. 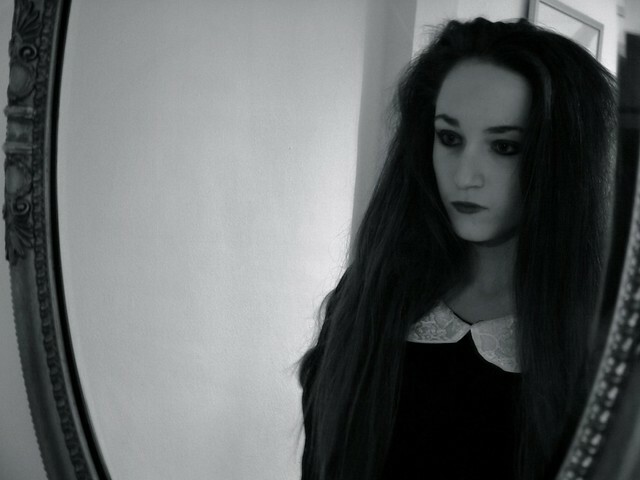 You look like Wednesday Adams! Good luck with the vlogging. I want to do it part can't work up the courage haha! I love this dress. I wish I could pull off stuff like this. Good luck on your exams! These pictures give me shivers! these are really eerily gorgeous you look so beautiful in that dark makeup, modelesque!!! i don't know if i'm following you already but i will be.. i don't know how i nearly missed these pictures.. The photos look ridiculously AMAZING!!! Really good!!! 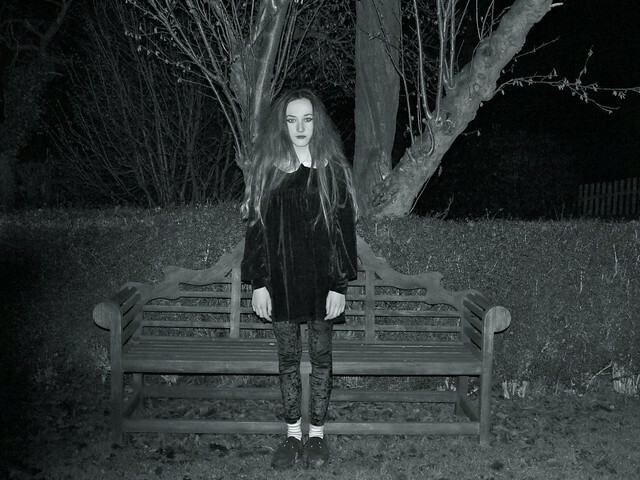 i love that these pictures have an eerie feel to it, great blog girl! hope you get through those exams with flying colors! 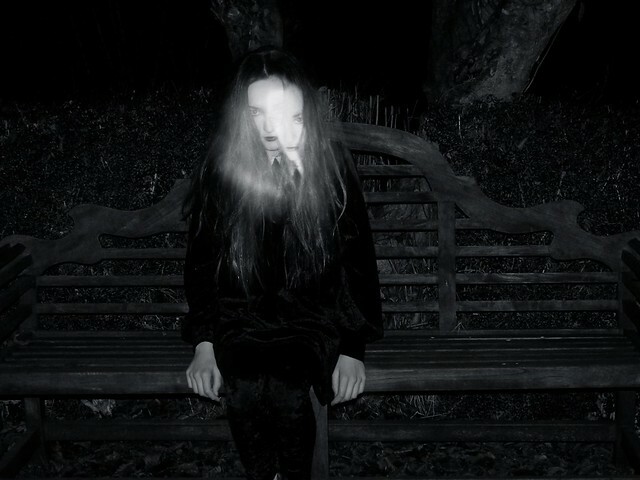 Very spooky, I love the pictures! The photos in this post are amazing!!! It's kind of like Wednesday (from Adam's Family) meets Emily the Strange meets Lydia (from Beetlejuice). I was going to say the first photo is the coolest, but then I saw the last 4 photos and those cannot be outdone. And your goth makeup is super dramatic and glam. oh my- stunning photos. brilliant and dark. thanks for sharing. 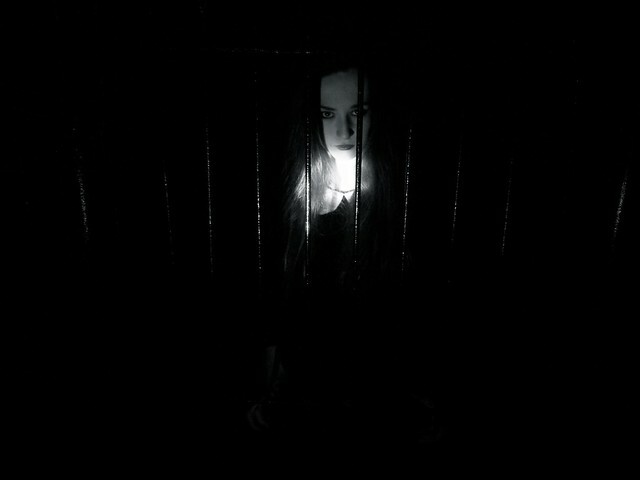 I love how gothic and dark these photos turned out, almost like a chic Wednesday Adams. They came out great! and Vlogs are so much fun :) I hope you do one! Thanks for your comment dear! THIS IS AMAZING! LOVE LOVE LOVE IT!!! that dress is so pretty! Good luck with your exams and revision btw. good job!!! I like the first !!!! so cool pics!! jut love them..
the third picture down is realy cool.looks like something out of a magazine! Pretentious is my middle name.